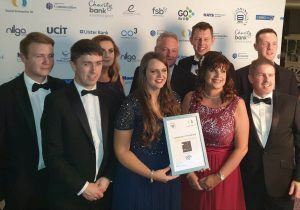 We attended the Annual NI Social Enterprise Awards on Friday 19th October 2018 at The Stormont Hotel, Belfast. 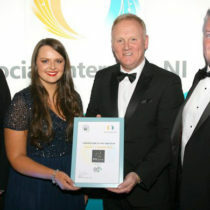 The awards showcase the Social Enterprise Sector in Northern Ireland. Over 400 guests attended from the Social, Enterprise, Private and Public Sectors. We were shortlisted for Stakeholder of the Year, and won Highly Commended recognition for our efforts with Ashes to Gold. Alistair Christy, Ashes to Gold’s Project Manager, also was shortlisted in the Employee of the Year category. We donate 10% of our profits to Ashes to Gold. It includes 3 social enterprises and a mental health charity, these are Ashes to Gold: Oasis, Restore, Grow and Bakery. 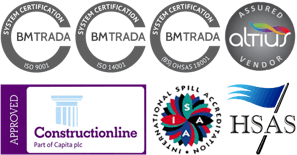 Corporate responsibility is at the heart of everything we do, and we are continuing to invest in our Social Enterprises. We’re excited to see what the future holds for Ashes to Gold!